Place 4 muffin halves, cut sides up, on a baking sheet. Top each half with 1 cheese slice. Broil for 2 minutes or until cheese melts. Divide ham among cheese-topped muffin halves; top each with 1 egg �... This recipe first appeared over at Real Housemoms where I�m a contributor. 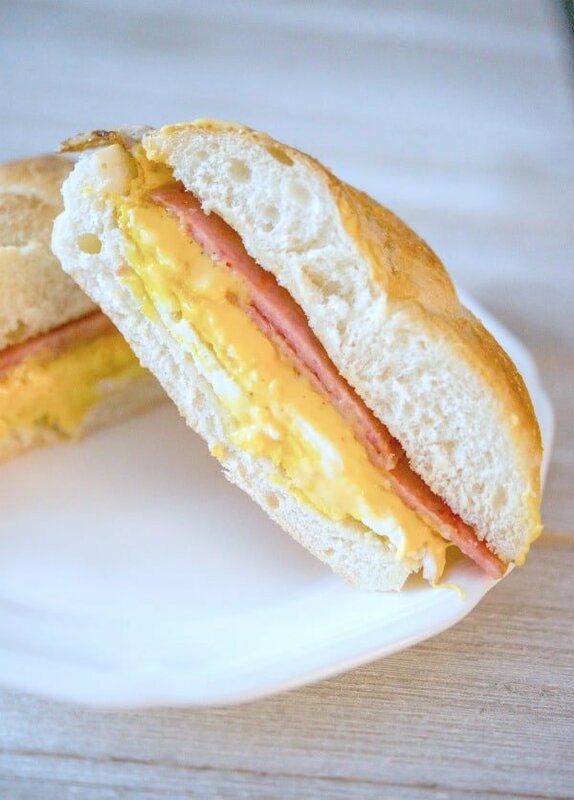 Ham, Egg & Cheese Breakfast Sandwiches combine a perfectly cooked egg, melted cheddar cheese, flavorful ham inside a freshly baked homemade cheddar biscuit. Place one egg on top of the ham and cheese half then top with the second half of the English muffin. For easy microwave reheating, wrap each sandwich individually in parchment paper then place in a resealable plastic bag to freeze. how to make your own glow stick costume Fry the ham, while the ham is cooking, fry an egg hard, breaking the yolk, flipping it once. Spread mayo on the top and bottom bun, add the fried ham slice on the bottom bun. Top the ham with the fried egg. Place a thin slice of deli ham onto the other half, folding the ham to make it cover bagel. Place the bagel halves back into the oven under the broiler (about 5-6 inches away from broiler). Re-heat only until cheese begins to melt, and sandwich is re-heated. Today I will share our household's favorite breakfast sandwich. We call it a Breakfast Buddy Sandwich. We named it that because we can make it and easily carry it along with us when we are on the go. 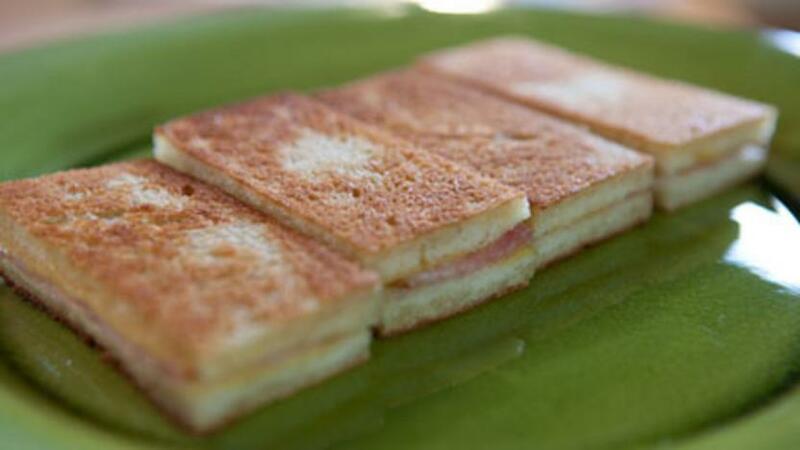 Made with toast, ham, egg & cheese. 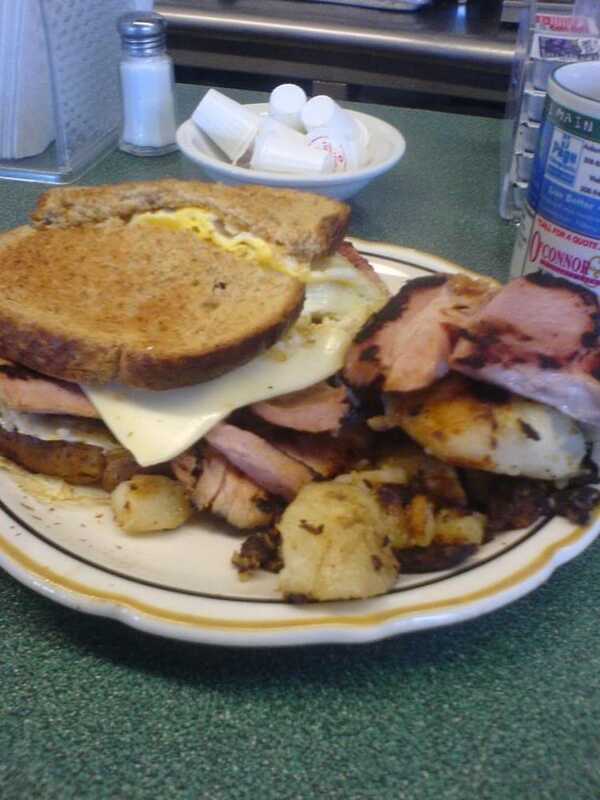 A truly delicious breakfast sandwich. This recipe first appeared over at Real Housemoms where I�m a contributor. Ham, Egg & Cheese Breakfast Sandwiches combine a perfectly cooked egg, melted cheddar cheese, flavorful ham inside a freshly baked homemade cheddar biscuit. Place one egg on top of the ham and cheese half then top with the second half of the English muffin. For easy microwave reheating, wrap each sandwich individually in parchment paper then place in a resealable plastic bag to freeze.